Miacchi~ I tried to edit my signature, and it works though. Have you tried several times? may be I should try with different browser? I am using Mozilla Firefox now. 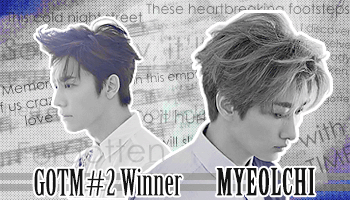 Last edited by Myeolchi on Fri Feb 05, 2016 3:51 pm, edited 1 time in total. The Kimi Ni todoke link under projects is dead. Can't seem find any listing for the series under reader either. heimdal77 wrote: The Kimi Ni todoke link under projects is dead. Can't seem find any listing for the series under reader either. This is noted in one of the announcements and is a sticky topic on the portal. We received a DMCA notice and had to take down our releases on the reader for knt. We will be posting download links instead, which you can find at the Downloads forum. Additionally, we will be providing download links for Kimi ni Todoke for the two latest releases ONLY. "The HTTP status code "1024" is not valid." It seems to do this regardless of whether you're signed in or not. The chat is staff only. I already wrote you a PM on your facebook page, but I'll post it here nevertheless in case you see this before. On the thread for Kiseki no Shounen, the links for chapters 25 and 26 are the same links as chapters 5 and 6 (they are repeated). Would you mind fixing it, please? Great thanks in advance! EDIT: I just got replied on Facebook. Thanks a lot for such a quick response! Last edited by the_frickerman on Sun Dec 25, 2016 11:02 pm, edited 1 time in total. Already sent you a PM on FB. The links are updated now, thanks!